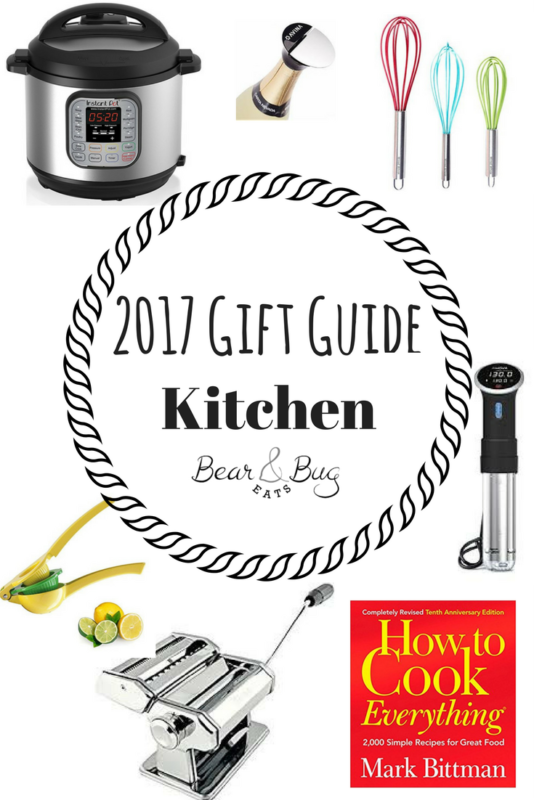 A while ago, I thought, Oh, wouldn’t it be fun to do a holiday gift guide? Then I opened Amazon and fell straight down a deep, dark rabbit hole. 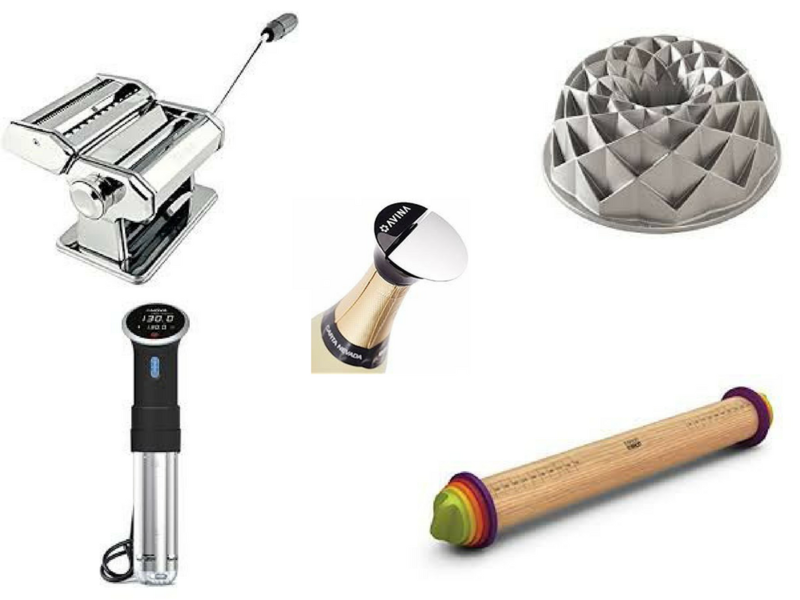 Behold: the 2017 Gift Guide, kitchen edition! These are almost all Amazon links for a few reasons. One is that Bear & Bug Eats is an Amazon affiliate, which means that if you click one of these links and then buy something (literally anything) through Amazon, I get a tiny commission! The other is Prime, because procrastination. I’m looking at myself here. Seriously, what did we do before free two-day shipping? If you don’t have Prime, make your list and then get a free trial. Or borrow someone else’s for the season. I selected items that I either own some version of, or have heard good things of. I tried to choose ones that were well-priced but with a high user rating. You can find cheaper versions of most, or go higher-end. Oh–and try using Smile.Amazon.com. It’s exactly the same as regular Amazon, except that .5% of your purchase goes directly to a charity of your choice. Buy presents, support your favorite cause! 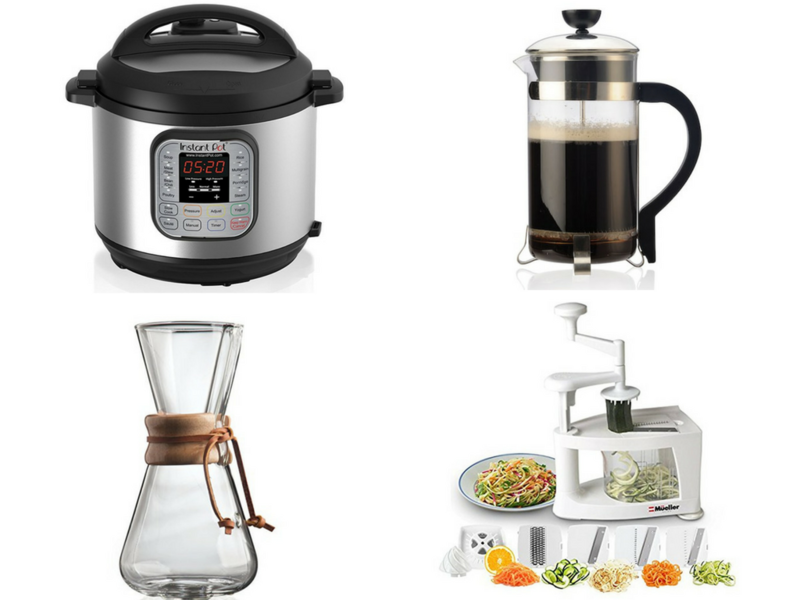 Instant Pot: Under $100. Some genius took a pressure cooker, which is a great tool but also sort of intimidating, and stuffed it into a slow cooker. Bingo: a device that can make shred-tender pork shoulder in an hour. I don’t have one (because I have three slow cookers. They were all gifts! I don’t have a problem!) but if your giftee doesn’t have a slow cooker, I would totally recommend the Instant Pot instead. I did look for copycat models, but the only one I found is smaller with less good reviews, so I’d splurge on the brand name in this case. Spiralizer: Under $30. For that person who really will eat more vegetables when they’re cut into cute shapes. For a more space-efficient version, try this handheld one (under $15). Chemex: Under $50 (and on my own Christmas list). If someone you love likes silky smooth coffee, consider a Chemex. It’s a fancier version of a pourover (under $10!) using thicker filters, which pull out more acid from the grounds. This is perfect for a leisurely morning cup, or a sophisticated after-dinner presentation. If they have one of those already, consider a pourover kettle (under $25) for super controlled hot water pouring. You could even go crazy fancy and get one with a built-in thermometer for the barista who has everything. French press: Under $15. For someone who loves a deep, dark, gritty cup of coffee, you can’t go wrong with this classic (note: a “cup” is 4 oz. in French press). And okay, he’s not on Prime, but how adorable is this R2-D2? Also, can you tell I’ve really enjoyed volunteering at a coffee shop? Pasta roller: Under $30. Turns out you don’t need a fancy KitchenAid attachment to roll deliciously thin pasta. This device rolls pasta flat and cuts long noodles in a couple different widths. Single-purpose item? Yes. Worth it? Absolutely. Fancy Bundt pan: Under $40. Not your grandmother’s Bundt pan! The standard shape is still available, but this one makes a really awesome sort of Gothic-inspired shape that looks really great for holding glaze. There are tons of options; just be sure to grease AND flour all of the crevices really, really well. Sparkling wine bottle stopper: Under $15. The bubbles won’t last forever, but they’ll last longer with one or two (under $10) of these nifty little things. Sous vide immersion circulator: Under $100. Sous vide is a technique that has made its way from the Food Network into homes, but which has previously required a completely separate machine that creates a temperature-controlled water bath. This device sits on the side of any pot you already have and does all of that for you. Neat, huh? Adjustable rolling pin: Under $25. If your gifter is forever collecting different sizes of rolling pin, they might be interested in this one, which can be five sizes without taking up any additional room in the drawer. Handheld citrus squeezer: Under $20. If your giftee likes fresh juice or making cocktails or cooking with lemons, this is another single-purpose item that does make a difference. There are also pretty ceramic ones, ones that a little pitcher with a cup to catch seeds, and of course this large and lovely one by Le Creuset. Silicone spatulas: Under $10! Heat-resistant, can scrape a bowl clean, often very cute… No one can have too many. Instant-read thermometer: Under $15. Small, super handy tool for checking the cook on meat or doneness of a loaf of bread. Ah, you didn’t think we were getting away without any books, did you? How to Cook Everything: Under $25. I love, love, love this cookbook. It’s so comprehensive that the one time I looked for a recipe it didn’t have, I kept checking the index like it was going to change. Mark Bittman approaches writing as if the reader knows zero things, without ever being condescending. The recipes are clear, and really really good. He also has vegetarian, baking, fast, and basics versions. 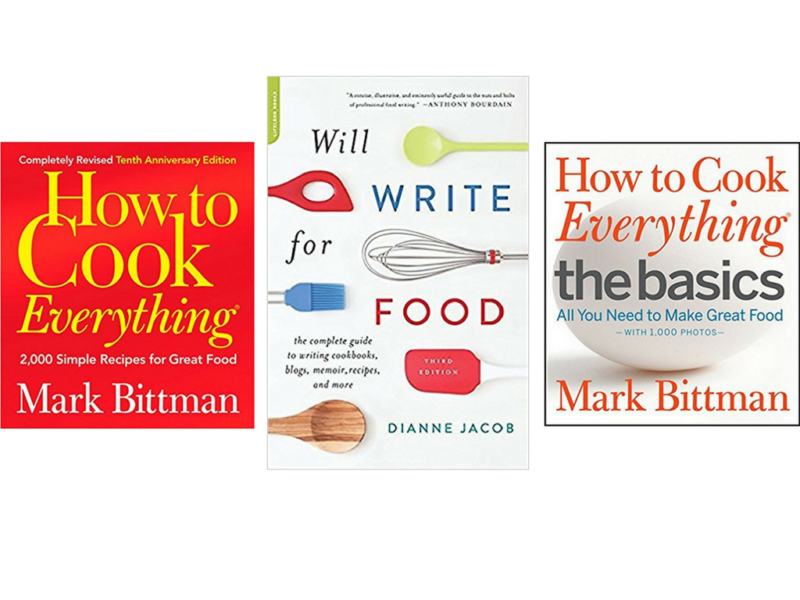 Will Write for Food: The Complete Guide to Writing Cookbooks, Blogs, Memoir, Recipes, and More: Under $15. Dianne Jacob has a longtime blog of the same name, and she is THE name in this kind of food writing. And while I don’t own any of these, I love this blogger and definitely trust her list of favorite 2017 cookbooks. Tell me, what did I miss? 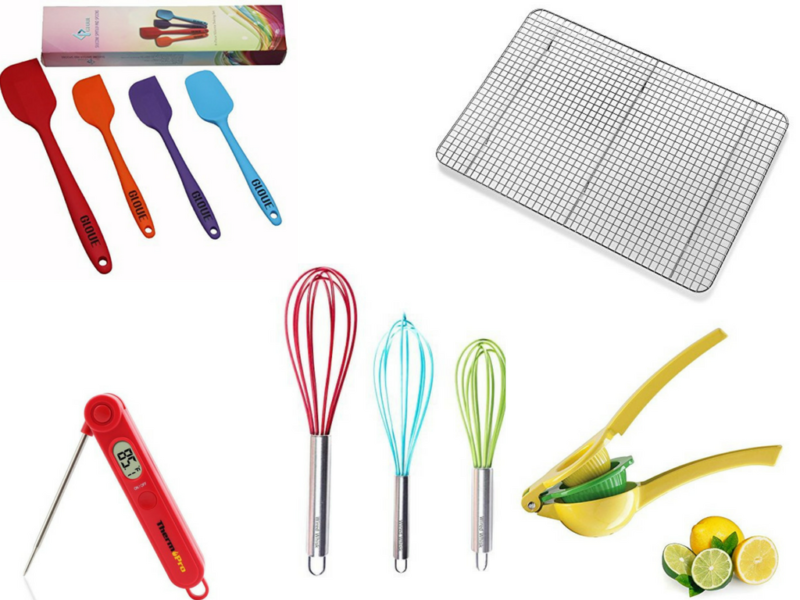 What’s your favorite kitchen thing to give, or the best one you received?